Lucy McBath is a representative for the anti-gun propaganda group Moms Demand Action, and serially lies about Stand Your Ground laws in the United States. I feel a great deal of sympathy for Lucy McBath. Her son, Jordan Davis, was murdered by an arrogant and violence-prone thug named Michael Dunn. Dunn is a Florida man who shot into a carload of teens in an argument that erupted over loud music from a car stereo. Dunn will spend the rest of his life in prison for Jordan’s murder and the attempted murders of Jordan’s friends, as he clearly should. People react differently to tragedy. Some use these life-shattering experiences to redirect their energies to do great good. Unfortunately, Lucy McBath chose a different path. She has become radicalized, and now travels the nation attempting to strip law-abiding citizens of their most basic natural right as a human being, the right bear arms for self defense. Her decision has led her down a very dark road, and has her associating with some very bad people. As one of the leading faces of the infamous gun control group Moms Demand Action, McBath has become a serial liar, and sadly seems to be more comfortable with her lies as time goes on. If you’re not familiar with this fringe group, you aren’t missing much. Moms Demand Action has repeatedly be hammered for gross dishonesty, committing apparent perjury, deliberately and grossly manipulating data about the number of school shootings, and dramatically inflating their actual numbers along the way to be being ingloriously named the worst astroturfers in the nation. McBath has spent the majority of her time with Moms Demand Action relentlessly attacked so-called Stand Your Ground laws in specific. McBath asserting time and again that the laws allow citizens to gun down one another with impunity. 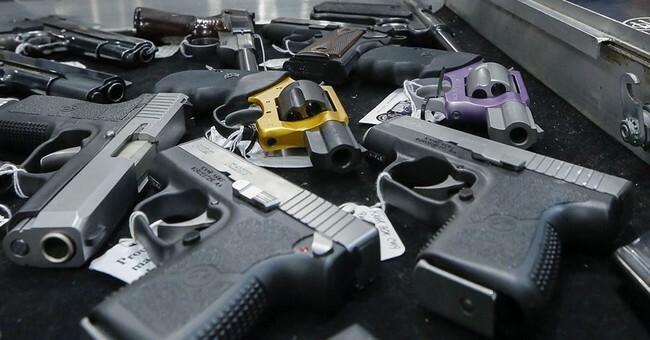 Her latest attempt to mislead the public has popped up in the sensationalist tabloid, the New York Daily News, as she reacted to the news George Zimmerman was attempting to auction off the handgun he used to defend his life after being ambushed by violent drug abuser Trayvon Martin in Sanford, Florida. Zimmerman’s trial proved that Stand Your Ground laws had nothing at all do do with the case. The violence-craving, drug-fueled Martin approached Zimmerman from behind in the darkness as Zimmerman was returning to his truck. Martin started the altercation, sucker-punched Zimmerman, knocked him down, mounted him and began beating him relentlessly. Zimmerman called for help. While several neighbors called 911 and one even walked outside, none attempted to physically intervene as Trayvon Martin attempted to beat George Zimmerman to death. After more than 40 seconds under attack—an incredibly long period of time in a violent encounter—Zimmerman resorted to drawing his pistol and firing one shot to stop Martin’s felonious assault. Despite ignorant cries from the media and gun control advocates like McBath, the Zimmerman/Martin case had nothing at all to do with Florida’s implementation Stand Your Ground law. Zimmerman never had the option of retreat. He was ambushed and mounted by a much younger, strong, and more violent Martin. Zimmerman’s trial—which I covered—was a straight self defense case. Florida’s Stand Your Ground law was not mentioned by the defense, nor the prosecution. It simply was not relevant to the case in any way, shape, or form. Nonetheless, McBath used Zimmerman’s distasteful attempt to auction his gun as yet another excuse to once again lie about Stand Your Ground Laws. 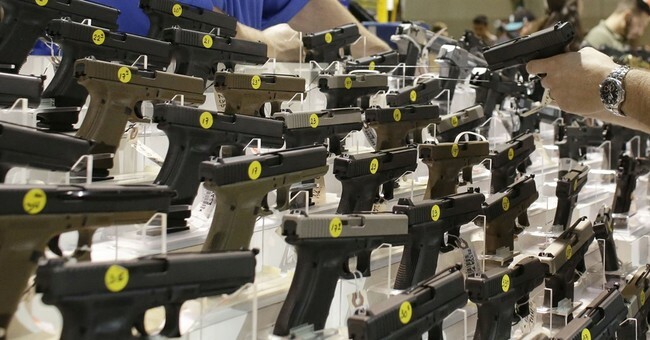 People are shocked by the news about the gun auction, but they shouldn’t be. The deplorable lack of value for human life exhibited in this attempt to sell the gun that killed Trayvon is espoused not only by his killer — but also by the dangerous gun lobby that continues to push for the very law — called Stand Your Ground — that allows people like him to shoot first and ask questions later. It is the same armed vigilantism that enabled a man in November 2012 to kill my unarmed teenage son in an argument over loud music at a Florida gas station. Since my son’s murder nearly three years ago, I have been privy to some of the most disgusting realities of racism, power and violence in this country. I have also learned about how our nation’s weak gun laws and spineless politicians contribute to the tragedy that is gun violence in America. Just like this infamous gun, too many of our elected leaders are also on the auction block — available to the highest bidder regardless of concern for the constituents who elected them. Too often, they are sold to special interests because of the perceived power and influence of groups like the National Rifle Association. They become the mouth pieces for policies they do not understand the implications of — the proponents of laws that promote a culture of shoot first, ask questions later, a culture that upends traditional self-defense law and emboldens individuals to settle conflicts by reaching for their firearms, even when they can safely walk away from danger. She is boldly, directly, and intentionally lying. What do stand your ground laws actually do? It’s very, very simple. Stand your ground laws simply state that a person under a deadly force attack does not have to turn his or her back on someone trying to seriously injure or kill them, in an even more dangerous attempt to retreat required by law in some parts of the country. All stand your ground laws do is enable you to hold your position—standing your ground and giving you the best chance to survive—when under a deadly force attack. These laws do not enable people to “shoot first and ask questions later.” That is an abject lie. Nor do Stand Your Ground laws give you the legal cover to draw a weapon in a verbal dispute. That is yet another direct and easily disproven lie by Lucy McBath about Stand Your Ground. Stand Your Ground laws do not do anything, other than give someone under a deadly force attack a fighting chance to defend their lives without an unreasonable demand that they turn their back to an attacker and try to flee, as if the violent criminal carrying out a deadly force attack has more rights than a law-abiding citizen. Lucy McBath has gone through the unbearable anguish of losing her son to a violent and abusive man. I have a great deal of sympathy for the pain she has gone through, and will go through every day. Her pain, however, does not justify her continual lying about Stand Your Ground laws, making the world a more dangerous place for law-abiding citizens who deserve the best chance they can get to defend their lives against violent criminals.